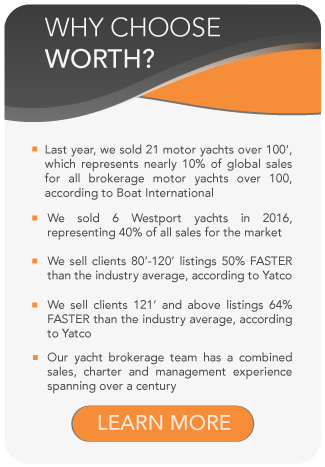 All Kusch Yachts for sale worldwide are listed below, scroll down to view them. For 30 years, Kusch Yachts have been professional partners for the design and construction of customized mega yachts “tailor-made in Germany”. With their state of the art shipyard of Peters Werft, Wewelsfleth, in Northern Germany, superyacht giants, such as the 436feet /133meter Al Mirqab, have been built. Today, Kusch is active in all areas of mega-yacht construction, including repair, refit and conversion, famous worldwide for their elite craftsmanship and attention to detail. Kusch Yachts was originally founded in 1981 by Claus Kusch, with the delivery of their first yacht, Lady Georgina (ex. Katalina) in 1982. 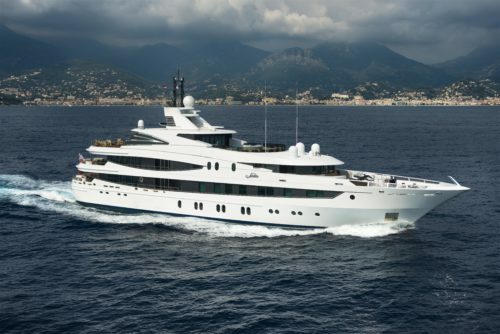 In the following twenty years, the company realized a number of projects at various shipyards, such as Oceanco, for a range of international clients. One such project includes the 66m NATITA. In 2004, Kusch partnered with Peters Werft, a shipyard that follows a 140-year-old tradition, located in Wewelsfleth, Germany. Conveniently located on the river Elbe, right between Hamburg and the North Sea, the facilities include skilled manpower and administrative staff to cover all aspects of building tailor-made yachts of up to 443feet / 135meters in two large modern dry docks. Kusch Yachts is responsible for one of the world’s largest superyachts, the 436foot / 133meter Al Mirqab, which was commissioned for Middle East royalty. Built in 2008, Al Mirqab was designed by Tim Heywood (exterior) and Andrew Winch Designs (interior). Kusch also designed and constructed the 302foot / 92meter Tatoosh, owned by American billionaire Paul Allen. She has five decks, a movie theatre and facilities to transport two helicopters on her top two decks. Built in 2004, the 213foot / 65meter White Rose of Drachs (Now White Rose), has an interior design by Donald Starkey. Other notable Kusch superyachts include Le Grand Bleu, Lady Christina, Astarte II, Natita and Jamaica Bay. The latest building of Kusch Yachts is the 331foot / 101meter IDynasty for a client of Vega Yachts.